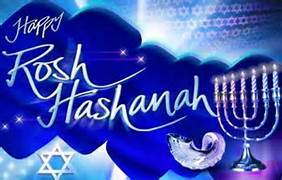 Rosh Hashanah begins at sundown, September 20th and ends at sundown the 21st. This is the Jewish new year, and GOD’s calendar. What does this mean for you? It is the beginning of the new for you. There is a fresh start. To have the new, you must make room for it. Letting go of some things that are not beneficial, that are burdensome and unproductive makes room for the new. Remove bitterness. Forgive and bless and move on. Forgiveness does always mean that you reestablish fellowship and friendship. Sometimes you must simply forgive, bless, release and move on. In some cases the relationships may be mended. In others you will go your separate ways. Both of these positions are righteous. Get rid of old mindsets to make space for the pure mind of CHRIST. Be open for GOD to do a new thing in a new way with new assignments that he adds. This new year for many he will align you with NEW connections that will benefit your ministries and destinies. You do not have to stand behind a pulpit or before a crowd to be a minister. You do not need a title. Be a servant of the MOST HIGH GOD. Relinquish control and let GOD do the leading and dictating. Remove yourself from false authorities that only want to manipulate, dictate and use you for their own purposes rather than what GOD has for you to do. This is a time to press into the presence of GOD, get rid of the old weights and sins that so easily beset you, simply besetting sins, and repent of them and let GOD rid you of these things that have held you back. It is a time of determining your destiny for another year between Rosh Hashanah and Yom Kippur, which is September 30th. So seek GOD for HIS will to be done in you as it is in heaven. Look forward to new beginnings. Look forward for a move of GOD this year. Look forward to new connections, new assignments and promotion. For his is a time for promotion as you position yourself in the presence of GOD and seek to be used of Him as He purifies you, empowers you and commissions you for the NEW. Your destiny is ahead, so you will have to let go of the past and press on to the prize of the mark of the high calling of GOD in Christ JESUS. It is a time to be open to hear His voice, receive His directives, and give Him your entire life to be used for His Kingdom. AAAAAAAMMMEENNNN THANK YOU HOLY SPIRIT. Yes Yeshua so ready for the new blessings that are coming in this year! amen i recieve it Lord.